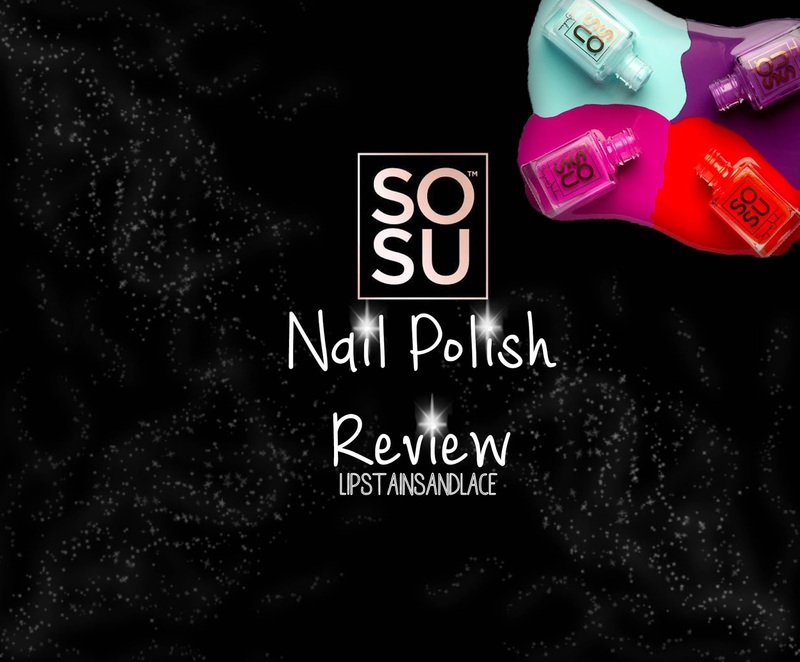 At the Elite Munster Bloggers Event that I recently attended in Limerick I received one of the SoSu Nail Polishes in my goodie bag and I was so excited to try it out because the SoSu nail polishes are designed by fellow blogger Suzanne Jackson (So Sue Me). Earlier this year Sue released her collection of 25 Nail Polishes that she claimed give you "a salon gel finish without the UV light". I couldn't wait to try these out because I had read mixed reviews online from other bloggers and I was looking forward to making my own opinion on them. I received the polish in the shade "Coral Reef" that if you haven't guessed already.. is a stunning coral colour. I remember Sue saying on her social media that to get the best results you would need to use a base coat, apply two coats of colour and then apply a top coat. Unfortunately when I first tried out my SoSu polish I didn't have the time to apply a base and a top coat so I just applied the polish itself and being honest.. I wasn't expecting the best results due to my lack of base and top coats. However, I was totally surprised at the results. I applied the polish before I headed on a night out with friends to celebrate my 21st birthday, so as you can imagine I wasn't expecting it to stay flawless for very long.. Normally even with a top coat on, my nails will chip straight away when I'm on a night out. But when I woke up the morning after (not feeling very well I might add) I was shocked to see that not one of my nails was chipped! I applied 2 coats of the polish onto my nails and the colour payoff was great and the polish lasted about 5 days without chipping which without a top or a base coat which I think is pretty damn impressive. Sue has just released some new shades for Autumn/Winter and I'm sure I'll be picking up a few more of these because the colours are gorgeous and they lasted well on my nails. Since trying out Coral Reef I've also purchased Blue Skies and I plan on purchasing more from the Autumn/Winter collection. After hearing such mixed reviews about these polishes I'm glad that I tried and tested them myself. I'm very impressed with these polishes and can't wait to purchase more stunning shades from the SoSu range! SoSu polishes are €7.99 each and can be purchased in pharmacies nationwide, in Penneys stores or online from McCabes Pharmacy.